PureVision 2 for Presbyopia are a new generation of multifocal contact lenses. They have a monthly replacement schedule and are designed to ensure clear and sharp vision at all distances. This package contains three lenses. 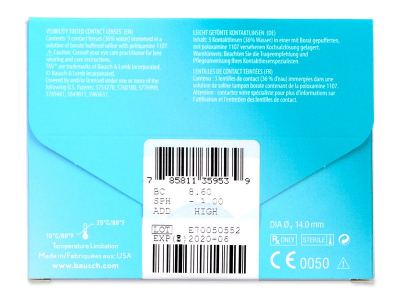 TopVue Air Multifocal are silicone-hydrogel contact lenses designed for the correction of presbyopia. Their unique design technology ensures clear vision at all distances. Their high oxygen permeability and water content provide all-day comfort. 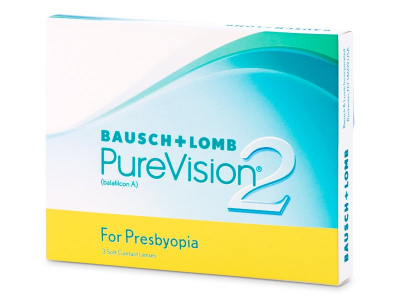 Purevision 2 for Presbyopia from the manufacturer Bausch and Lomb are a new generation of monthly contact lenses for the correction of presbyopia. Presbyopia is a common eye defect that is a natural part of the aging process and causes poor vision at short distances. The specialised design of Purevision 2 for Presbyopia allows sharp vision at all distances. This package contains three lenses. 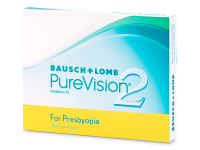 Purevision 2 for Presbyopia lenses are made from silicone-hydrogel materials that provide the necessary supply of oxygen to the cornea of the eye. ComfortMoist technology provides a comfortable feeling from the first day of wear. 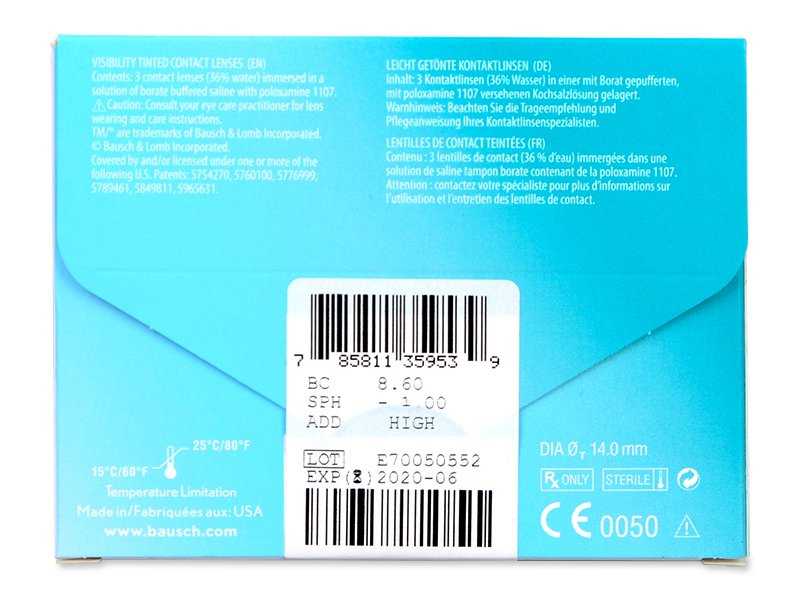 The manufacturer approves these lenses for daily wear, and also for continuous or extended (overnight) wear. However, continuous wear should first be discussed with your ophthalmologist. Hi, Anthony, Thank you for your recent comment. We do in fact price match if you can find a lower price elsewhere: https://www.alensa.co.uk/…arantee.html Please feel free to contact us should you have any further questions!